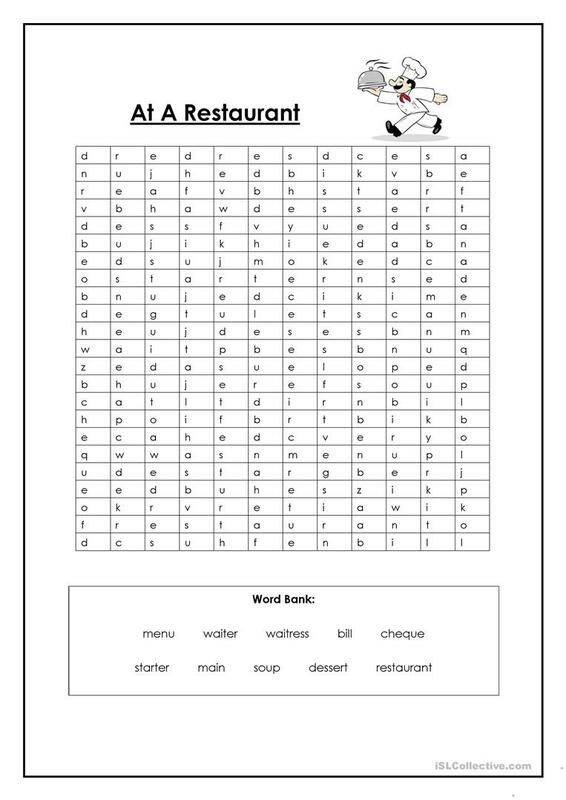 A simple word search activity to practice some vocabulary related to restaurants. Students find and circle the vocabulary featured in the word bank at the bottom of the page. The above printable, downloadable handout is intended for elementary school students at Elementary (A1) and Pre-intermediate (A2) level. It is useful for developing your students' Spelling and Reading skills. It features the vocabulary topic of Going to a restaurant.